The first multi-mode Chromebook impresses with speed, but drops the ball in some areas. 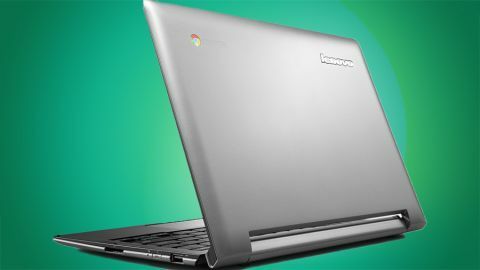 Lenovo's N20p Chromebook ($329, £210, AU$380) is the one of the first multi-mode Chromebooks, which is an accomplishment all on its own. With just a flip of the keyboard, this Chromebook transforms from laptop to tablet mode. When you consider that the device is only 3.1 pounds, is sleek and perfect for everyday use, you'll fall in love with this machine. It's more expensive than other leading, laptop-only Chromebooks, such as the Acer C720 Chromebook (starting at $199, £199, AU$399) and the HP Chromebook 11 (starting at $279, £179, AU$399), but the tablet viewing option is worth the extra cost. The N20p is a Chrome laptop with a 10-point, multi-touch display. Features and specs are nothing special or out of the ordinary, but they come together to create a pretty seamless machine. There is an 11.6-inch, 1366 x 768 touchscreen, which won't compare to the Toshiba Chromebook 2's 1080p screen, but is decent enough for everyday use. The N20p also features a quad-core Intel Celeron processor, 16GB of eMMC storage, up to 4GB of DDR3 RAM and a 1MP webcam. This is all standard spec-wise for a Chrome OS notebook. It won't impress like the Acer 13 Chromebook, which is powered by Nvidia's ARM Cortex A15-based Tegra K1, but you won't find the computer lagging behind at all. The chiclet-style keyboard is relatively standard, although the 11-inch size of the computer leads to feeling as though some standard key functions are being left off. Plus, some of the icons for functions were difficult to distinguish (although, full disclosure, I am a frequent Mac user). Despite this, the travel between the keys was more comfortable than most small laptops, so that's a plus given that most business uses require ample amounts of typing. The trackpad is crisp, responsive and a very satisfying click when selecting. The non-click touch option with mouse movements and gestures (i.e., two-finger scrolling) is just sensitive enough to require minimal tapping, but not overly sensitive where you'd find yourself making many accidental or phantom swipes. With its 2.16 GHz Intel Celeron N2830 CPU, the N20p feels spritely when completing everyday tasks like checking email and surfing the Web. Even with a large amount of tabs open (which we're all guilty of), there was minimal slowdown of processes as the system relies on integrated graphics processing, which is sufficient for basic Web browsing. An especially nice touch was the super-quick startup time for the machine, making powering down the machine when we were finished using it less of a task and something we could incorporate into our daily routine. Performance is on par with competing systems, with fast boot times (going from cold start to login screen in under 10 seconds) and quick browsing. With the built-in Camera app, 1280 x 720 photos came out blurry, even with relatively good lighting, rendering pictures that were darker than expected. Video chats seem to work better with users on the other end having no issue with the video quality.